I loved this book! Tia is a foodie like me but to the extreme. She's an aspiring food critic who is in NYC for grad school and the story follows her as she tries to make a name for herself. 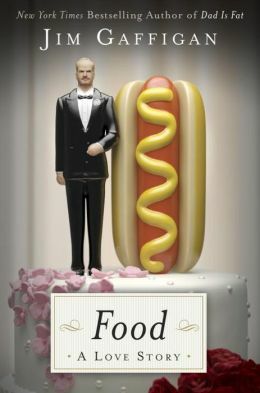 She finds herself in a unique situation when she meets NYC's famous food critic, Michael Saltz, and he wants her to work with him. He has lost his sense of taste and needs a ghost writer. I loved how descriptive the book was when it came to the food. Yum! I also loved Tia's development as a character, even though a lot of it was heartbreaking and sad due to her nativity. It was crucial to the story, though, and she grew with the story and learned big lessons. I didn't know if I wanted to finish this one. After 6 chapters, I was kind of ready to just accept that I wasted $10 and move on. 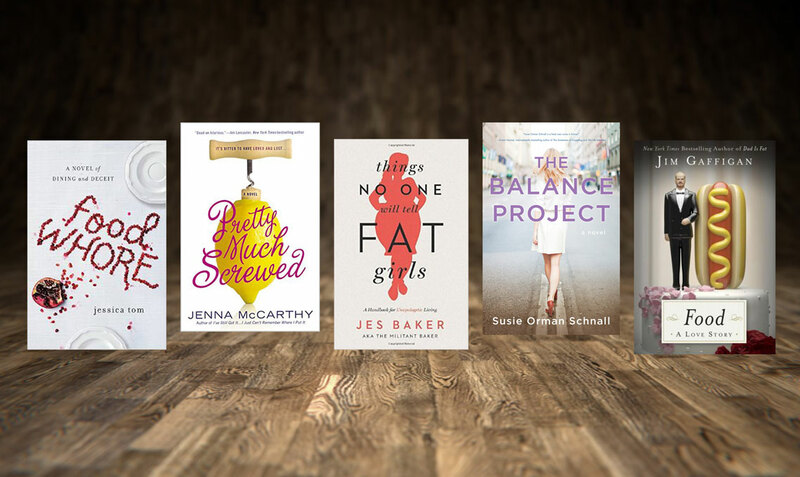 Once a scene started with the main character getting Botox, I had a hunch it wasn't for me but I tried to see it through (as I despise not finishing a book). Since the story is about a woman who's husband leaves her, her hubby asking for divorce wasn't a surprise. In fact, even if I didn't know to expect the divorce, I would have anticipated it because the first 6 chapters were MISERABLE. Maybe it was overkill in the author's plan to show how unhappy they were. That's possible, but Charlotte, the main character, pissed me off so much. She was just such a miserable person. I laughed that if I acted the way Charlotte did to Cody even a little, he'd be out of my life so fast. She was just so naggy and every little thing that could upset her, did just that. Every scene in the book between her and her husband was a fight she started/caused. I mean, she got angry that a bird was shot in a MOVIE they watched and then got mad at her HUSBAND. Uhh what? She was all weepy for the dead bird and the husband was a normal person that thought "so what? It's a bird in a movie" and she got mad at him for it. GIRL, GET OVER YOURSELF! I got through the book in its entirety, and though it got better halfway through, it got stupid all over again and it made finishing it a struggle. I wanted to like Charlotte, I did. But she was such a moron. In the end, it was just a case of a bad purchase. The character was the opposite of me and I hated her so much. Too high maintenance and too much work. Nope. Not the kind of heroine I enjoy. I won't be reading more from this author, I don't think. I bought this book on a whim when I needed some ego-boosting. 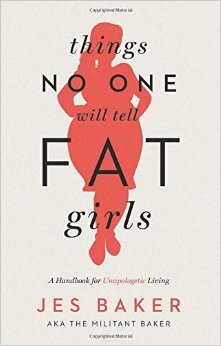 I felt a bit silly buying it and reading it since I am not full figured or a bigger girl per se, but since I have been noticeably struggling with my body lately due to some weight gain that I can't seem to lose (meanwhile in Man Land, Cody just stops drinking and sheds a few pounds like magic! OK he also does Krav Maga twice a week but still! ), I thought this sassy how-to would be a good fit. I enjoyed it and loved Jes' point of view. Though not original (when comparing to other BoPo gals I follow on social media and in the blogosphere), her encouragement didn't go a-miss. Did it help me? I think so. I am not posing naked in the street anytime soon but she made me laugh and helped me realize that even if I do lose all the weight I've gained this year, it's not going to make me happy. I have to be happy with myself no matter the outcome. This turned out better than I expected it to! I started reading it and thought, "oh crap. 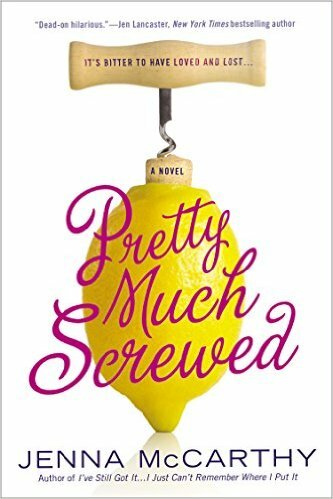 Another cliche story about a girl my age struggling to make her way into her dream job, etc" but was pleasantly surprised as the story went on. 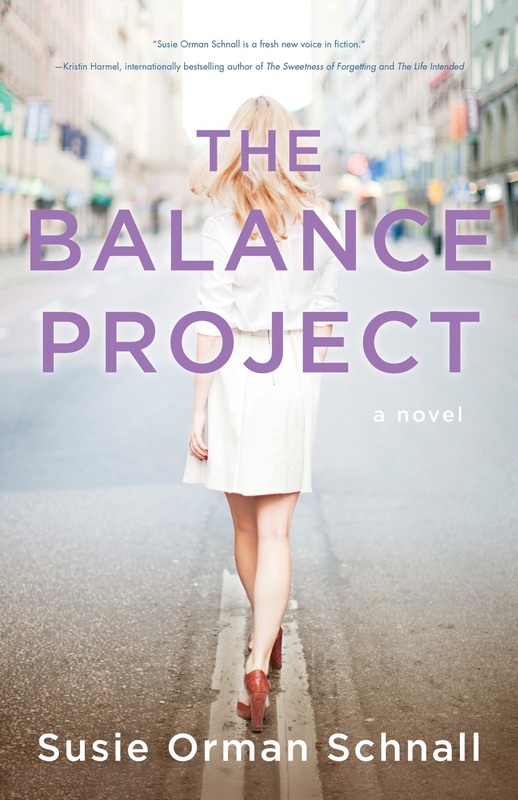 It isn't just about a girl making her way into the working world, it's about her boss' need to be the Queen of Balance as COO of a company she co-founded and famous author of a book she wrote on balancing life as a wife and mother. I really liked the narration Lucy provides (the story is in her POV). She had some really quirky funny moments among the trials and tribulations she encounters along the way.